If you want a salon quality hair dryer that has strong name recognition than look no further than a model from BaBylissPRO. They are a company that was started by hair stylists and they have an excellent reputation for making best professional hair dryers. This hair dryer from them is very powerful, to say the least, and can dry hair in a hurry. Let’s take a closer look at how powerful it really is and discuss some of the other good and bad things about it too. 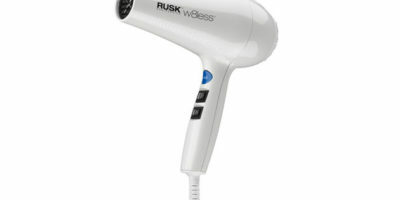 This is a very versatile blow dryer that will not be out of place in any salon that you work in or in your home. It features a very generous 6 air volume and heat settings. That means you can fine-tune your blow drying experience to suit any hair type. The Nano Titanium™ technology that is built into it is very impressive in its own way too. Titanium coated heaters tend to heat up faster than other hair dryer heaters and produce some very serious heat. If you don’t like to wait a few minutes to use your dryer after you turn it on to get good heat than a titanium-based hair dryer like this one is what you need. There are a few nice perks you get with this model hair dryer too. You get not one but three different size concentrator attachments with it and they have thrown in a diffuser attachment to help complete the accessories package. The manufacturer also has designed into it a stainless steel removable lint filter so you will never lose air flow if you keep it clean. 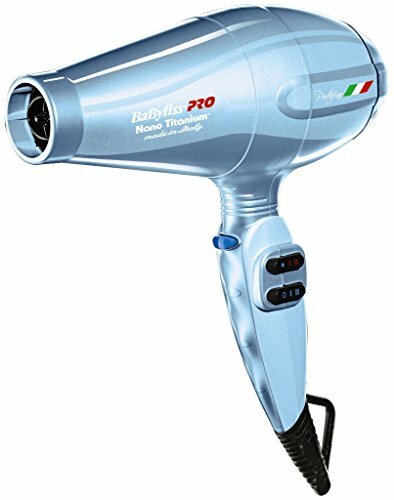 This hair dryer from BaBylissPRO also comes back by a full 4-year warranty to give you some great peace of mind when you purchase it. This hair dryer has a crazy powerful enhanced Italian style motor on it. It features a full 2000 watts of blower and heater power. 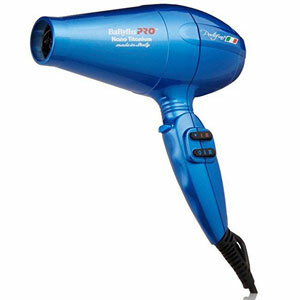 That is more than just about any other hair dryer you will ever see. This means you can dry your own hair or that if your clients’ in little or no time at all. That’s a great way to keep the line moving at your salon or get you out the door in a hurry in the morning. Anyway, you look at this is an all-around exceptional motor design. 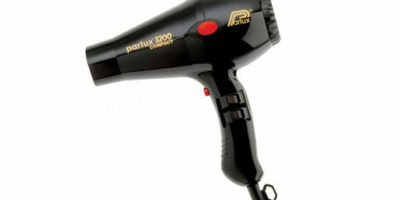 When BaBylissPRO designed this hair dryer they did it at the expense of keeping it light. Not every person or hair stylist is going to want to use a blower that weighs almost 2 pounds. So you will probably experience some arm fatigue if you purchase this hair dryer and use it for an extended period of time. The other complaint that is brought up by many users is that even on the low air flow setting the volume of air that comes out is still very powerful. All things considered, this is a very well-rounded hair dryer despite the fact that it’s a little to the heavy side. Many salon professionals are willing to sacrifice that in order to have a versatile and powerful hair dryer model like this one to use. There really is a lot to like about such as its ultra-powerful 200-watt motor and its negative ion infusion system. It also heats up very fast thanks to its proprietary Nano Titanium™ technology. When you add to all this a nice attachment assortment and the fact that it comes backed up by a four-year warranty, it’s definitely a hair dryer that individual users and salon professionals should seriously consider buying.